Unless you spent your childhood under a rock, chances are you grew up playing with Lego at some point. In earlier years, it was more about different combinations of bricks and "special pieces" before LEGO came out with themed sets such as LEGO Star Wars or LEGO CITY. I had no problems using my imagination to build girly things like dollhouses or horse stables, but then again that was way before anyone had ever heard of Star Wars or Harry Potter. Yes, it was *that* long ago. Even though most LEGO sets are not specifically targeted at boys, it's obvious that most of them do not initially appeal to girls. This was quite unfortunate because building stuff is nurturing great imaginative and creative play, which would benefit girls just as much as boys. 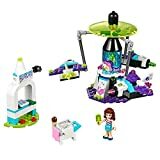 LEGO Friends have finally corrected this imbalance with a whole range of products that appeal even to the girliest of girls, and this might even entice them to explore the endless creative playing opportunity of building sets. 1. Who Are The LEGO Friends? Although there are many different characters that interact with "The Friends", the core group consists of the five girls Mia, Emma, Andrea, Stephanie and Olivia. They are pictured from left to right in the image above. Mia, the red haired animal lover, is the resident vet. She's eco- and health-conscious, which makes for a very positive role model. Emma, an aspiring designer, has a sense of style and owns her own horse, Robin. Andrea is the singing, dancing, and acting whirlwind of energy who adds some Latin spice to the mix. Stephanie loves parties and helping others get organized. She also drives a cool car. Olivia's personality is a parent's dream come true! She has beauty and brains, loves school, science, nature, hiking and inventing stuff. Needless to say, they all love hanging out with each other and having fun. The central hub of activity in Heartlake City is Olivia's House. 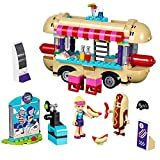 It is one of the largest sets in the LEGO Friends series with 695 pieces that will create a tri-level house complete with 4 furnished rooms, a rooftop patio and a back yard. This set also contains the LEGO mini figures Olivia and her parents Peter and Anna, as well as their cat Kitty. Apart from the building bricks for the house, this set also includes many furniture pieces and household items for endless playing possibilities. Considering that the Olivia's House set is essentially a fully stocked doll house, LEGO provides a fantastic value for their legendary quality toy. 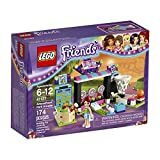 This LEGO Friends set has now been discontinued by the manufacturer but is still available from 3rd party sellers. Just be sure to compare prices, or go with a current set instead. The story revolves around a place called "Heartlake City", a pleasant suburban area with a small town feel. Apart from Olivia's House, other places of interest include the Heartlake Shopping Mall, the Park City Cafe, the Butterfly Beauty Salon, and the Heartlake Vet Clinic. In the summer, the girls are heading to Summer Riding Camp, the Jungle Rescue Base, or Stephanie's Beach House, if they're not splashing in the city pool. Recently, Heartlake City has also become the location for a Grand Hotel! This event is celebrated with the release of this years largest LEGO Friends playset: 1552 pieces of classic elegance will keep the whole family entertained for many hours. What Else Is There To Do In Heartlake City? LEGO has always been great at providing themed sets in various sizes and price ranges, starting at just under $10. 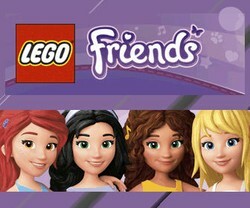 The LEGO Friends franchise is no exception. 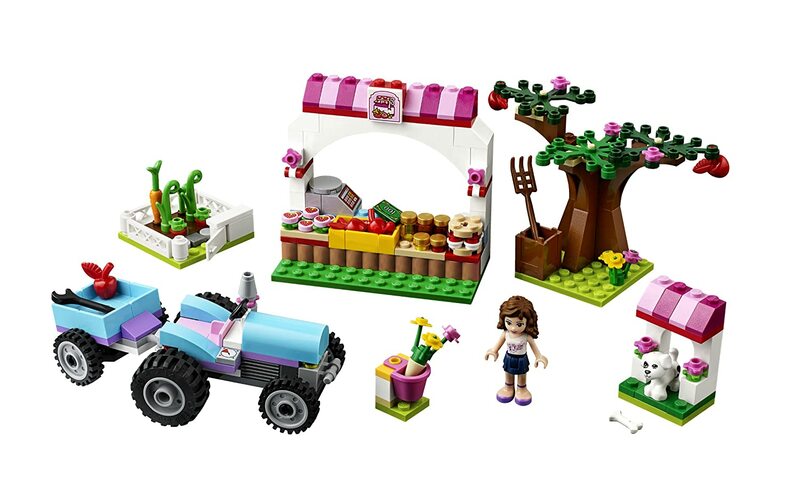 Smaller sets such as Sunshine Harvest, Mia's Puppy House, or Olivia's Inventor's Workshop will keep the girlfriends busy and the fun going throughout the year. What could be more fun than this? The Amusement Park is now open for business in Heartlake City! Everything a fun loving friend could desire, from Bumper Cars to Carousel rides and Arcades, all grouped around the main attraction - a huge Roller Coaster! LEGO Friends hang on, it's going to be wild! LEGOs For Girls - A Great Idea? There have been voices that criticized LEGO for perpetuating gender stereotyping. But in the end, everyone agrees that playing with LEGOs is a valuable educational and fun experience for all kids. It's just been more difficult getting girls interested in building sets than boys; most parents I have encountered can confirm this. The LEGO Friends have finally broken down that barrier and opened a whole world of bricks many girls previously ignored. Girls just love LEGO Friends, and once they play with these sets many of them will want to progress to the more gender neutral themes. With LEGOs being ever popular, it is very easy to sell your used sets for good money on auction sites or local trading pages. Provided they are kept complete and in good condition (if possible, try to save the boxes and manuals!). What's your take? Will LEGO Friends encourage more girls to play with Legos? nightowl, Do you know why Olivia's house was discontinued? The designs and storylines encourage such educational fun as comfort levels with architecture and engineering. But a cultural diversity gap nevertheless needs to be filled with representation for girls of African, Asian and indigenous descent. Great share, Elizabeth! I felt so lucky to be able to play with my son's LEGO again, I got so much into it that I started buying and collecting the Christmas sets for myself. So much fun! My daughter is 6 1/2, and started her Lego Friends collection over 2 years ago. Her 5th birthday party was even Lego Friends / Horses themed. She loves them, I love them!! GREAT IDEA! My brother had a TON of legos growing up, and I was never interested in them. I'm not sure who enjoys our HUGE lego collection more - me or my daughter. As a girl who has played with all her brother's legos, i hate the friends sets. They don't work with the traditional legos, and the pink everything is an insult. An x ray machine is not pink, roofs are not pink, and animals don't have huge manga eyes. Instead of stereotyping girls, why doesn't lego just include a propprtional amount of FEMALE minjfigures to their sets "for boys" And you wonder why there are less girls in STEM! From the time girls are little they're taught that they can't be a fireman, police officer, or rescue person, but that they can be a girl with a pretty car and just party and play with her friends all day. Lego needs to step up and own the fact that most of their sets are sexist and encourage gender stereotyping. I think they're fine. If girls gravitate to these sets because they like the colors, and the story-telling play opportunities, then it's a start into building toys. They can add on other kinds of sets, such as Architecture, as they wish. I love these legos and now know what I'm going to get my granddaughters for Christmas. It's interesting how it's okay for girls to play with things that interest boys, but not the other way around. "As if boy things" are of greater intellectual importance than "girl things." Anything that suggests femininity and nurturing is considered frivolous and inconsequential. The male and female are different. There's nothing wrong with being a girl if you happen to be a girl as I once told my ex who wanted to dress his daughter like his two sons. I think humans have lost their minds. Just my biased opinion. 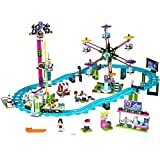 Lego are releasing 18 new Lego City sets for 2012 and they are going to be so much fun! There are Lego City police sets, a new Lego City ambulance, fire sets and so much more.